For several years, Cincinnati Locksmith has been providing modern lock & key security systems for residential and commercial properties at very affordable prices. As a premier locksmith company in Cincinnati, we make it a commitment to offer the best solutions to any lock and key concerns. Our company is available 24/7, and we respond as quickly as possible to ensure your safety and maintain a tight security on your valued property. We know that installing a modern security system is a huge investment to make, but the benefits it provides are outstanding. At Cincinnati Locksmith, we make it easier for you to have the best security for your home or commercial property. We provide a variety of options for you to choose from and ensure that you select the most appropriate security system that suits your budget. One of our staff will guide you from the time you inquire about the actual installation, until the end of the entire transaction. We believe that quality services should not necessarily come with an expensive price tag. With our years of experience in this industry, we realize that most people choose not to install a modern security system because it is a high-priced tool and most companies also charge a lot for its installation. 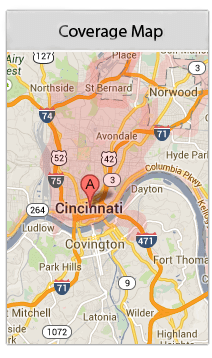 Cincinnati Locksmith offers quality services at a price that does not hurt anyone’s pocket. We know that there are various kinds of a modern security system on the market that is why we give options that suit your budget well. If you have no idea about these advanced lock systems, do not worry, we will guide you throughout the process, so you will know what is best for you. If you want a modern lock & key security system for your valuable asset, it is very important to trust professionals only. With Cincinnati Locksmith, you can rest assured that the right people work for your property. The locksmith technicians we work for are all licensed, bonded, and insured with years of experience in providing solutions for any locksmith concerns. These individuals have undergone various training, and they are capable of handling different kinds of modern security system installation. In addition to that, every client who seeks our services is also covered by a comprehensive insurance and product warranty. Whatever damages that took place in the installation process, you can be assured of getting protection for repair or replacement fees. A lot of our customers have different reasons for installing a modern security system in their homes or office, but above all these, security is always their main concern. With that being said, our company is available 24 hours a day in 7 days a week to serve and offer locksmith solutions anytime. We also guarantee to respond as quickly as possible so that you can obtain immediate assistance. At Cincinnati Locksmith, we ensure that all clients receive the best and the most efficient services for their needs.